Discrete Warren York tiara. Crystals and diamante on a silver frame. 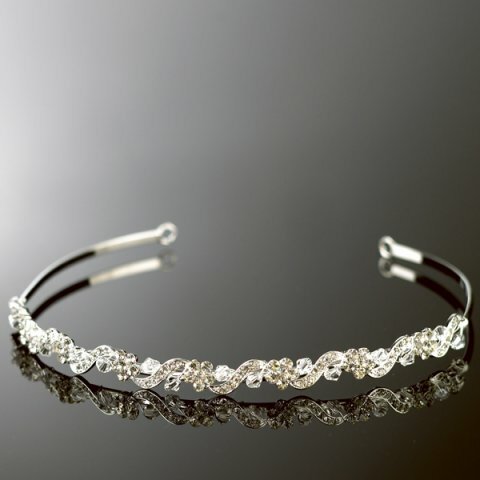 The little waves are encrusted with diamante with diamante flowers and crystal beads in between. Perfect for simple styles and for bridesmaids.